The strangest thing about Obama’s efforts to achieve friendly relations with Iran, something he has tried to do since he first took office in 2009, is that Iran has made it abundantly clear since its Islamic revolution in 1979 that it hates America and, in tandem, Israel as well. It’s worse than a fool’s deal. It is a deal that is predicated on the nuclear destruction of Israel and, after that, the U.S. is next. One might think that Obama knows this and one might be right. People like Mayor Rudy Giuliani have long noticed that Obama doesn’t seem to like America very much. Anyone recall George W. Bush’s “Axis of Evil”? It was Iran, North Korea, and Iraq. The Prime Minister of Israel, Benjamin Netanyahu will address a joint session of Congress on Tuesday. On September 29, 2014, he addressed the United Nations. The message will be the same. Any deal with Iran will be a bad deal for Israel which has been in the crosshairs of the Iranians since they came to power in 1979. This isn’t an “existential” threat. It is a threat that can and will destroy Israel if permitted to occur. 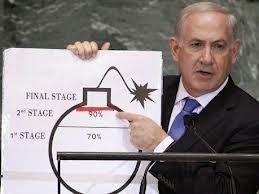 Obama’s negotiations will leave Israel no other option than to attack Iran’s nuclear facilities. If the U.S. Congress has the means to deter and render Obama’s negotiations null and void, they had better do so. On September 26, 2007, the U.S. Senate passed legislation by a vote of 76-22 designating the Iranian Revolutionary Guards as a terrorist organization. The long record of Iran and its state-sponsored terrorism can be found by visiting Wikipedia. What we are witnessing is a level of insane appeasement comparable to that of the 1930s when European nations refused to acknowledge Nazi Germany’s clear intention to conquer them. 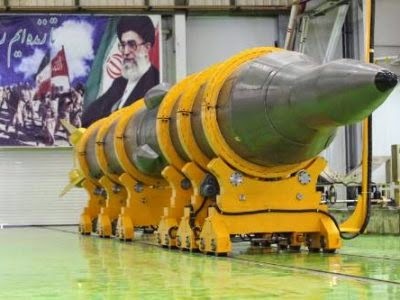 Iran’s intentions are known to Obama and no doubt to our Congress. They are surely known to Israel and the Gulf nations. If history is any guide, these negotiations will put the world on the path to a cataclysm that defies the imagination.